Burning Man. Mardi Gras. SXSW. They’re on every bucket list of not-to-be-missed festivals. But do the crowds make you think twice about going? If you love festivals, but hate making your way through crowds of tourists, head to the remote island of Yap in the western Pacific Ocean where the tourists are minimal and the welcome is maximal. 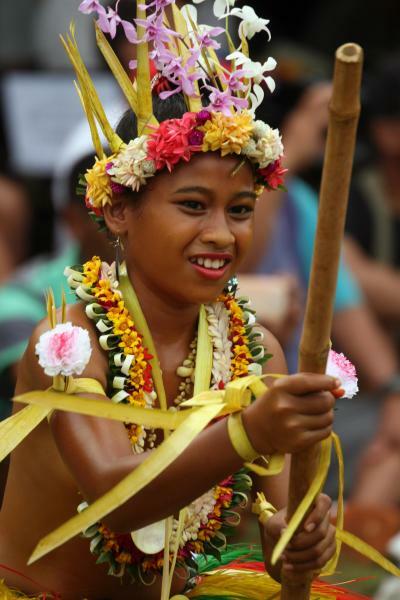 One of four states in the Federated States of Micronesia, this 38½ square mile island is renowned for maintaining its traditions and tropical beauty as the daily way of life. Known as the Land of Stone Money due to the massive discs of stone currency that have been used for centuries as legal tender and are still in use today, three annual festivals take place throughout the year when the culture is celebrated by and for local residents. On or around March 1st, Yap Day starts the year off when two days of festivities are set aside to celebrate the unique Yapese culture. Yap Day officially begins with the blowing of the conch shell and a Stone Money carry ceremony. During the third weekend of June, Summer Festival brings friends and families together to celebrate the beginning of summer at the Living History Museum in Colonia, the only town on the island. In early December when the trade winds are most reliable, the Yap Traditional Navigation Society and its respected Master Navigators host the Canoe Festival. The island’s navigation history and the art of celestial navigation are on display with a parade of hand-carved sailing canoes and canoe races. Demonstrations include bamboo raft making, weaving of traditional canoe sails and the making of coconut husk rope. Famous throughout the Pacific for the traditional dances that tell stories about the island, its history and people, each festival features dance competitions between villages. A marketplace offers local food and handicrafts. During their stay, visitors also enjoy diving among the resident population of manta rays and other sea life in the surrounding protected reef, exploring historical World War II memorials erected throughout the island, hiking the centuries-old stone paths that connect the villages, and identifying the flora and fauna that are found nowhere else in the world. For more information, go to www.visityap.com. My Paradise: A lot of heart and Seoul!